You can fill the French visa application online on the official website by clicking here or if you want to download the pdf version of France short stay Schengen visa application Form, then you can click in the following links. You can download the French visa application form in three different languages: French, English or Spanish. * The France Visa application form should be completely filled and signed by Visa Applicant. A separate France visa application form is required for each applicant. Addresses in France must specify: the number, street name, city, and postal code. How To Fill-In The Section? Birth Name Write the name you had at your birth if different than the one indicated in section 1. Home Address and E-mail Address Telephone Number Write the mailing address specifying whether it is your personal mailbox or that of another person or company (in this case, write the name of the mailbox owner). Destination Member State Write the name of the country that is your primary destination (in principle, France). If it is a French overseas department (DROM) or territory (CTOM), write “France” and the name of the DROM or CTOM. 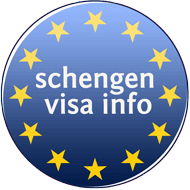 Schengen Visas Issued during the Last 3 Years Specify the number of visas that you have obtained to enter the Schengen area during the last 3 years. Fingerprints… Check the corresponding box. If your fingerprints have already been taken for a visa application, indicate the date. Entry Permit for Your Final Destination Country, If Applicable Write the number and validity dates for your visa at your final destination, if this country is outside the Schengen area. Personal Information Regarding a Family Member who is a European Union, EEA, or Swiss National Write the full name, date of birth, nationality, passport number, and relationship only if you are the dependent spouse, child, father, or mother of a person who is a citizen of another State of the European Union. Signature The visa applicant must sign and not another person. If the visa applicant is a minor (under 18), the application must be signed by a person having parental authority and their relationship should be included in parentheses (father, mother, guardian). If the visa applicant cannot sign, a cross may be used.